The Icon has received dozens of awards and honorees for her contributions to Hip Hop Culture. She’s received the honorary award from the Council of the City of New York, for her involvement as a female Pioneer emcee that helped lead the culture of Hip Hop; and “The Women’s of Distinction Award” by The Hip Hop Culture Center in Harlem, New York. The Icon has been featured in magazines such as “The Source” (2013) and “The Essence” (2013) and several books written by Hip Hop historians and authors, acknowledging her dedication and commitment to the culture; which has helped pave the way for females of today’s Hip Hop culture. An article written by The Rolling Stone Magazine named, The Funky 4+1 More Hip Hop Rap single titled “That’s The Joint” as one of the 50 greatest rap songs of all times. In April 2013, MC Sha-Rock was appointed as a National Advisor for the Cornell University Hip Hop Library Collection; The Icon was recently appointed to sit on the Advisory Board for the Universal Hip Hop Museum schedule to open in the Bronx, New York (2017). 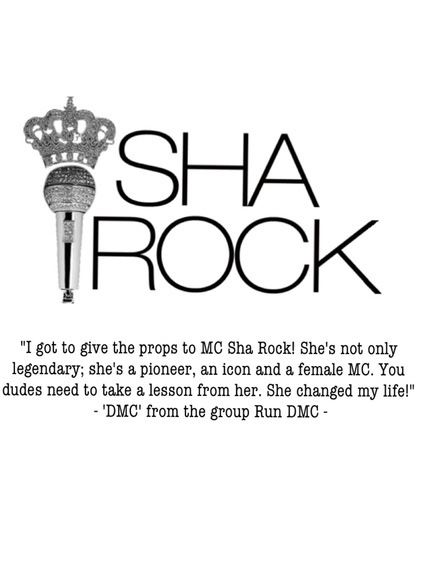 MC ShaRock has been labeled by her peers as the most celebrated Hip Hop female Pioneer MC of all time from fellow artists, Run DMC, Beastie Boys, Sean “Puffy” Combs, Fab 5 Freddy, MC Lyte and countless Hip Hop lovers around the world who have followed her career throughout her tenure. She has collaborated with many international artists, to include artists such as Ice T, Nas, Big Daddy Kane, Celo, Marley Marl, Grand Puba, Melle Mel, MC Spice, Malcolm McLaren and Angie Stone. Ithaca, NY (May 6, 2013) -- Pioneering African American Rap Artist MC Sha-Rock has been appointed as National Advisor for the Cornell University Hip Hop Library. Sha-Rock is relevant to the Hip Hop culture, music and industry. Established in 1976, she began her career as a b-girl/break dancer in the Bronx, New York. In the Hip Hop community, she is known as the "Luminary Icon" or the "Mother of the Mic". She stands as the foundation for female emcees. 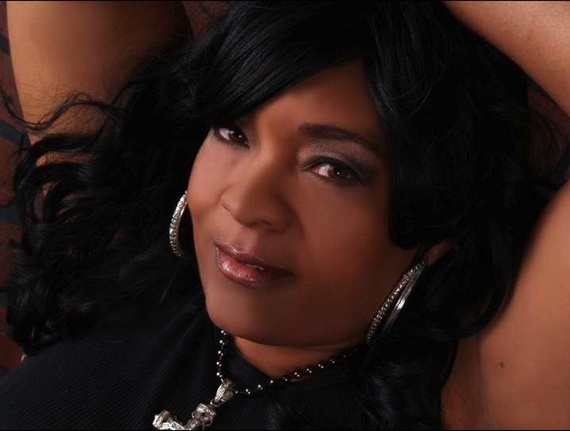 She is a former member of the legendary rap group, The Funky 4 Plus One More. In 1981" they appeared on Saturday Night Live and became the first rap group to ever appear on national television. MC Sha-Rock is a recipient of the Honorary Award from the Council of New York and The Women's Distinction Award by The Hip Hop Culture Center in Harlem, New York. She has been featured in countless magazines and books written by authors and Hip Hop Historians. She comments, "I am humbled and honored to accept this titled as a National Advisor for the Hip Hop Library at Cornell, said MC Sha-Rock. It feels as if I'm home. I am thankful that Katherine Reagan and Ben Ortiz have asked me to serve as an educator on the board. I have been involved and apart of the Hip Hop culture, since its inception. I am truly looking forward to sharing my experience and knowledge with the world. I am also excited about working with other pioneer's, educators and scholars. The Cornell Hip Hop Library will stand as the leading educational university to educate, highlight and showcase a vast selection of the origins of Hip Hop in film, old school flyers and photographs. It is open to the public, and it is my wish that everyone will get the opportunity to come out and experience the Hip Hop movement before its posterity." MC Sha-Rock couldn't be any happier to announce that the Cornell Hip Hop Library will showcase the first known vintage film footage that was documented and dated in 1977 by a young man's task to complete a high school project. The film highlights the Original Funky Four MC's and also charts MC Sha-Rock as the first female MC of Hip Hop. Interview with the amazing MC Sha-Rock! will be personally autographed by MC Sha-Rock.